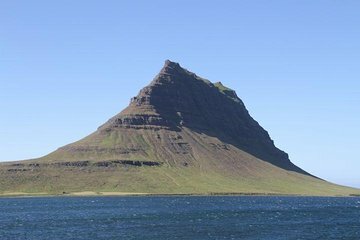 Besök Snæfellsnesshalvön på en privat dagstur från Reykjavik. Njut av det västra Islandas fantastiska natur, när du passerar platser som Eldborgs krater och Gerdubergs basaltmur. Ta en kort vandring till Hellnar, känd som en andlig plats där folk ofta övar meditation och yoga. Om du inte vill delta i någon av dessa aktiviteter kan du fortsätta vandra. Andra platser du kommer att se innan du återvänder till Reykjavik inkluderar kusten vid Dritvík och kyrkan på Grundarfjörður. We couldn't have been happier with our day trip to West Iceland. We had booked a small group tour and were lucky enough to have the tour all to ourselves. Andres was a wonderful guide and went out of his way to make sure that we got to see and do everything we wanted. We loved the Snaefellsness Peninsula and were glad to go places that were not packed with tourists. We especially enjoyed Hellnar - what a gorgeous, amazing place! We are not spiritual people, but the formations, water, and birds were so lovely that we could have stayed all day. Andres was very informative and flexible and put up with our silliness as we marveled at the different colored hay bales (in additional to all the natural beauty). He even dropped us off directly at our Air B and B even though the drop-off was technically several minutes away. We strongly recommend that people visit West Iceland and the Snaefellsness Peninsula to see more than the typical tourist sights - and there's no better way to do this than with Andres of Mercury Grail. This was a very small tour group 7 people led by Andres Ivanovic of Mercury Grail tours. Cannot say enough good about the entire tour or the guide. Above and beyond anything we could have anticipated. Highly recommend this tour!